Given sufficient time to prepare, humans anticipate and plan pretty well for planned life events, such as marriage, childbearing, and retirement. However, it’s difficult for most people to imagine — let alone prepare for — major, unexpected life changes. Serious illnesses and injuries befall millions of Americans each year, often with little or no warning. 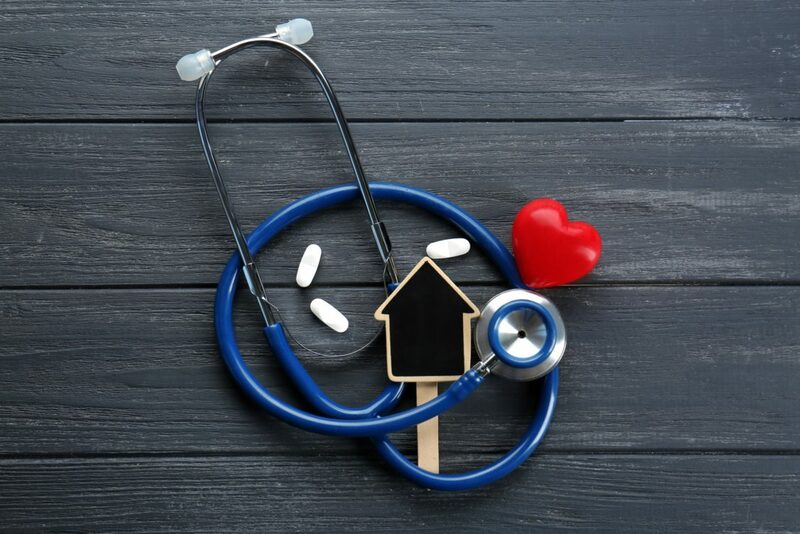 Most working adults have some form of health insurance or health coverage to absorb costs associated with catastrophic medical events or ongoing treatments for chronic illnesses, such as cancer and diabetes. However, far more lack disability insurance coverage, which compensates the policyholder for income lost when they’re unable to perform some or all of their job duties due to a qualifying medical event or condition. According to the Bureau of Labor Statistics, only 39% of American workers had short-term disability insurance and 33% had long-term disability insurance in 2014. In the relatively unlikely event that you experience a serious medical issue rendering you unable to work for a period of weeks, months, or even years, disability insurance can serve as a crucial financial backstop to help maintain your standard of living and reduce financial strain on your loved ones. Like all forms of insurance, disability coverage carries an ongoing cost, though some workers may pay little to nothing out of pocket for employer-sponsored plans. Here’s a closer look at what disability insurance offers and how to choose the right policy for your needs. Also known as income protection insurance, disability insurance comes in two forms: short-term disability insurance and long-term disability insurance. Though policy terms and coverages vary by issuer, what follows is a general overview of the key distinctions between the two. Short-term disability (STD) policies provide income protection for workers temporarily unable to perform their job duties due to qualifying disabilities. 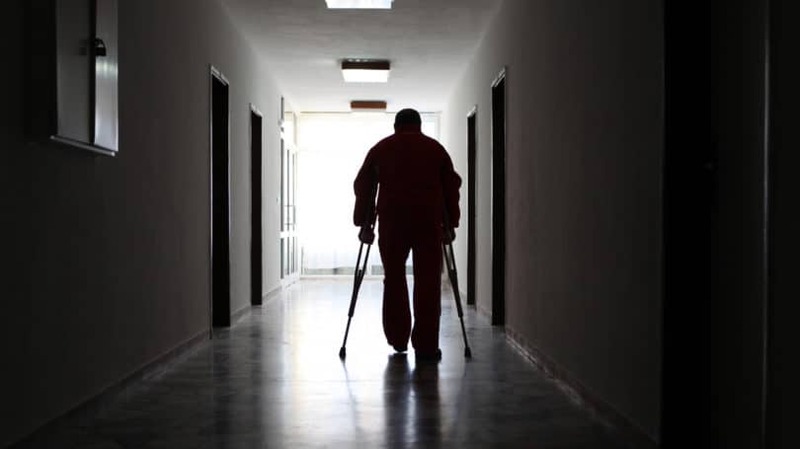 Each short-term disability claim is subject to a short elimination, or waiting, period that typically lasts one to two weeks, during which time the policyholder does not receive benefits. Following the elimination period, the policyholder receives benefits for a consecutive period of disability, usually lasting no more than 26 weeks. Benefits vary by policy and occupation but generally range between 50% and 70% of pre-disability income. Short-term disability policies may not cover income loss related to on-the-job injuries. Those incidents are the province of workers’ compensation insurance. Long-term disability (LTD) policies provide income protection for workers unable to perform their job duties over longer time periods. Like short-term disability claims, LTD claims are subject to elimination periods. LTD elimination periods are longer than STD elimination periods, typically ranging between one and six months but sometimes as long as 12 to 24 months. Each LTD policy also has an accumulation period stretching twice the length of the elimination period. During the accumulation period, the policyholder must accrue sufficient cumulative disability time to exceed the elimination period. The policyholder need not be continuously disabled during the accumulation period, provided the elimination threshold is met. Once the elimination period is met, benefits are payable either until the policyholder is no longer considered disabled or for the duration of the policy. Some LTD policies last for a set term ranging from two to 10 years, but many remain in force until the policyholder reaches age 65. Some may even continue after age 65, provided the policyholder continues working. Income replacement typically ranges up to 70% of pre-disability income and may be customizable. Many workers have access to group disability insurance, which may carry lower premiums made possible by their employers’ or professional associations’ purchasing power. Others — such as freelancers and solopreneurs who work outside of traditional employer-employee relationships or are not eligible for membership in professional associations — can procure disability insurance policies on the individual market. Group disability insurance is most often available through employers and professional associations. The American Dental Association’s (ADA) group disability insurance is a good example of a group policy available to members of a professional guild rather than colleagues at a particular workplace. Depending on the preferences of the group sponsor — most often, the employer or professional association — premiums may be borne entirely by the group sponsor, entirely by the policyholder, or shared between the two. This has important tax consequences; when premiums are paid by the policyholder from after-tax funds, benefits may not be taxable. For information pertinent to your situation, consult a tax professional. Some employer-sponsored group policies may impose a service wait. This is a probationary period during which recently hired employees are not eligible to file claims. Service waits typically last a few months. Some employer-sponsored group policies also impose hours worked requirements that may effectively exclude part-time employees from coverage. Hours worked requirements typically range from 24 to 32 hours per week, though amounts outside that range are not unheard of. Individual disability insurance policies cover individual workers without access to suitable group insurance plans. Though their basic structure and features are similar to group disability insurance plans, they may impose higher premiums for comparable coverage and may not offer the same range of customization options. Individual policyholders are responsible for paying their own premiums for individual disability insurance. If you’re a sole proprietor with a legal business structure, you may be able to pay your premiums out of before-tax earnings. Generally, hours worked requirements do not apply, as long as you can prove the income you wish to replace. Disability insurers use a thorough underwriting process that takes three key considerations into account: applicant health, income and financial status, and occupation. Health Survey. This is a written or oral questionnaire covering topics like the applicant’s personal health history, family history, lifestyle, and habits. Nicotine usage and mental health information are particularly important to disability insurance providers. Medical Exam or Panels. Many policies require the applicant to undergo a physical exam. Some merely require blood or urine tests that screen for drug usage and common chronic conditions, such as kidney failure, diabetes, and cardiovascular issues. Some group policies do not require medical exams or tests. Medical Records. Some insurers order medical records for a period of five or 10 years prior to application. This can lengthen the underwriting process, as it often takes weeks to procure the necessary information. Financial underwriting may be less onerous for employer-sponsored policy applicants and more involved for self-employed individuals. However, it’s important in all cases for applicants to provide thorough income documentation, as policy benefits are direct functions of income. Finally, an applicant’s occupational class serves as an important determinant of risk. Occupations deemed more hazardous, such as certain manufacturing or outdoor occupations, are classed as higher risks than white-collar occupations, which are deemed less hazardous. Applicants in lower occupation classes may struggle to qualify for coverage, and those who do receive it may receive lower monthly indemnities than higher-class workers. 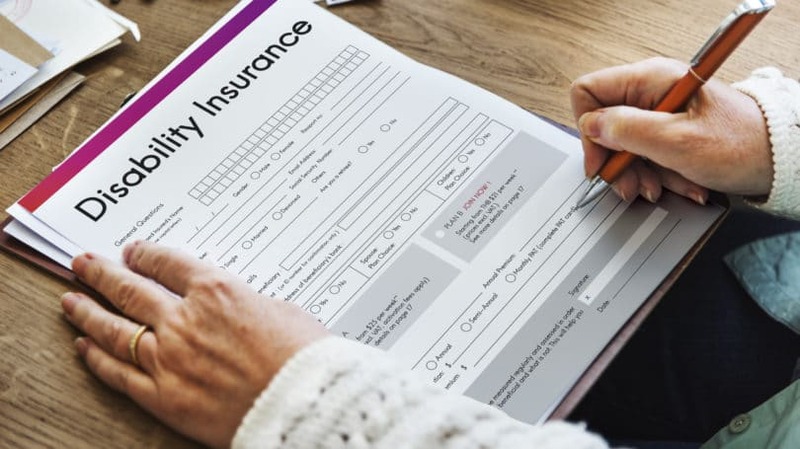 Following is a closer examination of key disability insurance coverage types, potential policy benefits, and common policy features. Disability insurance comes in two main coverage types: any occupation and own occupation. The distinction between these coverage types is substantial, and prospective policyholders are advised to carefully consider the possible ramifications of their choice on lifetime earnings and professional attainment. Any Occupation. “Any occupation” coverage hews to a strict definition of disability. 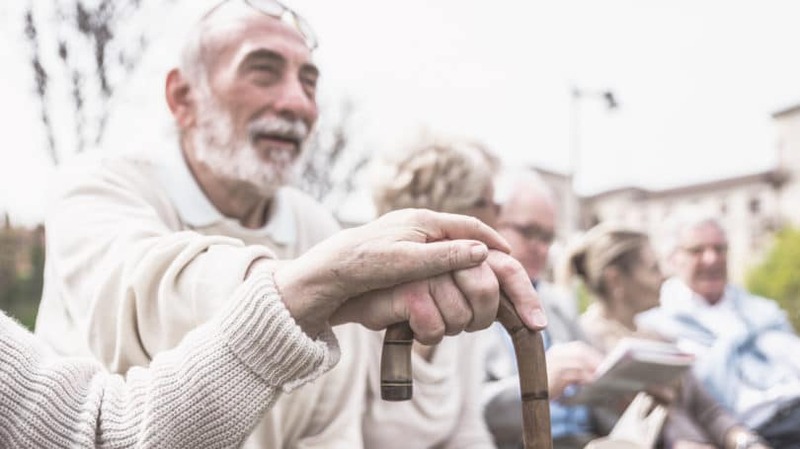 Even if the policyholder is unable to perform their pre-disability duties, any occupation coverage may not kick in unless the policyholder is deemed unable to perform any productive duties, including duties with less onerous physical or cognitive requirements. Own Occupation. “Own occupation” coverage kicks in when the policyholder is deemed unable to perform their specific pre-disability duties. This type of coverage is common for high-earning professionals whose duties have high cognitive requirements. If you are unable to work in your pre-disability profession due to a covered disability, you’re considered totally disabled for the purposes of an own occupation policy. These are among the most common benefits of disability insurance policies. Some apply only to STD or LTD policies, while some pertain to both. Cost of Living Adjustment. This automatic, stepped increase in benefit payments compensates for the effects of inflation. It may be set at a pre-determined threshold, such as 2% or 3%, or computed annually based on prevailing prices. Residual or Partial Disability Riders. These allow policyholders deemed partially disabled to claim some benefits, even if they’re able to perform productive work on a part-time basis. Return of Premium. This benefit allows for the partial return of policy premiums paid after a specified period. Return of premium riders vary widely by issuer, but the returned amount generally ranges between 50% and 100% over the specified period, less any benefits paid. Additional Purchase. This reserves the policyholder’s right to purchase additional disability coverage at a later date. 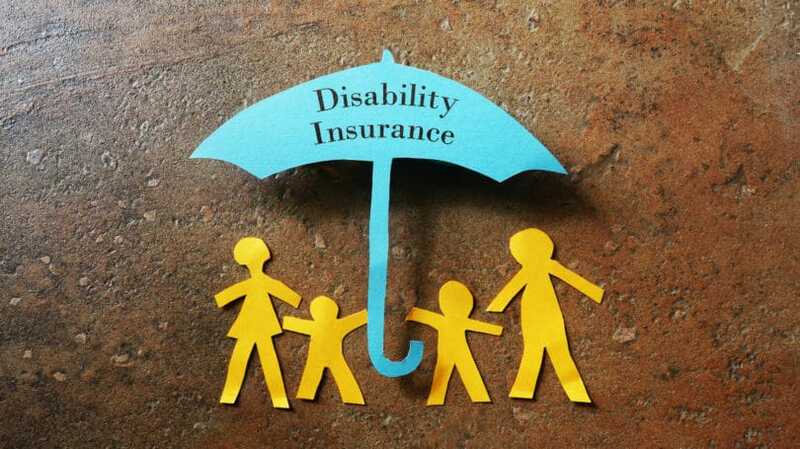 Prospective policyholders should mind these important disability insurance features. Some apply either to STD or LTD, while some apply to both. Non-Cancelable. Non-cancelable LTD policies may not be canceled by the issuer absent delinquent premiums. Non-cancelable policies provide policyholders with valuable peace of mind, as they cannot be revoked or changed due to changes in health status or insurers’ whims. Non-cancelable policies may have higher premiums than equivalent cancelable policies. Guaranteed Renewable. Term-limited LTD policies may be guaranteed renewable — that is, the issuer cannot deny a policyholder’s renewal request at the end of the policy’s term. Policies may be guaranteed renewable through age 65 or for life. Guaranteed renewable status generally corresponds to higher policy premiums, particularly when policies are guaranteed renewable for life. Elimination Period. The elimination period is the interval during which a disabled policyholder is ineligible to receive benefits. The policyholder need not lose any income during the elimination period; that they qualify as disabled but are still able to perform some or all job duties has no bearing on eventual benefit eligibility. STD elimination periods usually last less than two weeks; LTD elimination periods last one month to two years. All other factors being equal, policies with longer elimination periods have lower premiums than policies with shorter elimination periods. Accumulation Period. On an LTD policy, the accumulation period is the interval during which a policyholder must accrue sufficient cumulative qualifying disability time to satisfy the elimination period. The accumulation period is usually twice the length of the elimination period. Disability time need not be consecutive, so long as the elimination threshold is met. For instance, during a 24-month accumulation period, a policyholder may qualify for disability benefits by accumulating three non-consecutive intervals of disability lasting four months each, for a total of 12 months. Longer accumulation periods correspond to lower policy premiums. Temporary Recovery. If a disabled policyholder recovers their ability to work, then becomes disabled again due to the same underlying condition or cause, this benefit allows them to reopen their claim without enduring another elimination period. Coordination of Benefits. When the policyholder receives income replacement benefits from multiple sources, such as Social Security disability (SSDI), this provision ensures that the disability policy does not pay more than its share of those benefits. For instance, if the policyholder aims to replace $5,000 in monthly income, and other sources replace $2,000 per month, the disability policy replaces the remaining $3,000. Rehabilitation Plan. This provision covers part or all of the approved costs associated with a return to the workforce after an extended period of disability. These may include physical and occupational therapy, child or family care, job search expenses, and professional development fees. Return to Work Incentives and Responsibilities. A return to work incentive may continue benefits for the first year or two after the policyholder resumes part-time employment. In most cases, the incentive combines benefit payments and employment earnings to replace 10% of the policyholder’s pre-disability income. Reasonable Accommodations. This benefit reimburses employers, including self-employed individuals, for reasonable accommodations made to ensure the policyholder’s comfort and well-being upon returning to work. Every worker’s situation is unique. 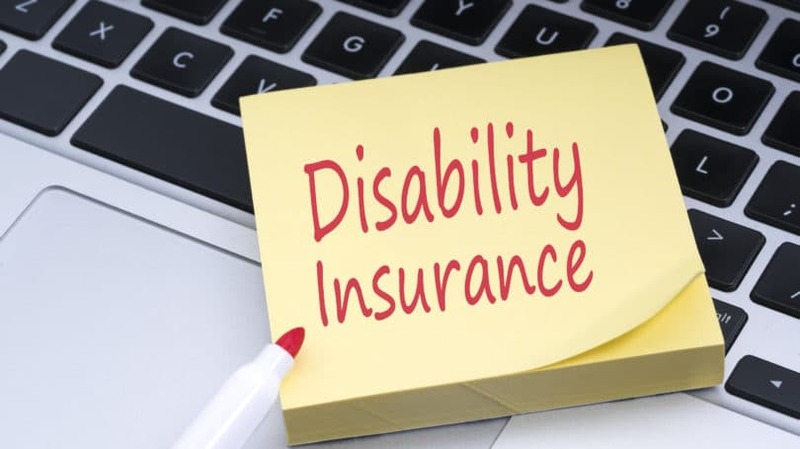 However, you can apply common best practices and strategies when choosing a disability insurance policy — and determining whether disability insurance makes financial and practical sense for you in the first place. Here are some questions to ask yourself. 1. Are Your Emergency Savings Sufficient to Cover Short-Term Expenses? You should maintain three types of savings: emergency, retirement, and personal. As a rule of thumb, your emergency savings reserves should amount to at least three months’ income. The ideal emergency reserve amounts to more like six months’ income. Incidentally, six months is about as long as you can expect an STD policy to replace your income in the event that you become disabled. Rather than pay the monthly premium for an individual STD policy you may never need, consider instead making equivalent monthly deposits into an FDIC-insured savings account, money market account, or certificate of deposit. If you’re temporarily unable to work at some point in the future, you can always dip into that fund to cover necessary expenses. This logic applies only to STD policies that demand out-of-pocket premiums. If your employer offers an STD policy as a fringe benefit with no employee contribution required, there’s no financial downside to enrolling. 2. Do You Have Major Recurring Expenses or Debts That Cannot Easily Be Deferred? It never hurts to contact your lenders for information about hardship programs that may temporarily reduce or eliminate your monthly payments. However, there is no guarantee that your situation will qualify as a hardship, or that the reprieve will obviate the need for disability insurance. 3. Have You Invested a Great Deal in Your Career? As the cost of education continues to rise and employer demand for workers with advanced degrees grows, Americans are spending more than ever on professional development. Members of professional guilds, such as medical doctors and architects, spend especially large sums on their educations. According to the Association of American Medical Colleges, average out-of-state tuition at public medical schools was $58,668 for the 2016 to 2017 school year, or $234,672 over four years. An LTD insurance policy’s benefits can salvage that investment, even if the post-disability return is lower. 4. When Are You Planning to Retire? Early in your career, the cumulative financial and professional impacts of partial or total disability can be devastating. While unfortunate, late-career disability is unlikely to damage your financial or professional position to the same extent. If you’ve passed age 59.5, you may be permitted to withdraw funds from your tax-advantaged retirement accounts without incurring a tax penalty, though you’ll still need to pay taxes on withdrawals from certain account types. If you have a healthy balance in your retirement fund, you may wish to entrust income replacement to your nest egg and forgo a new disability insurance policy, whose premiums are likely to be higher than those on new policies issued to younger workers. 5. Are You the Sole or Primary Breadwinner in Your Household? If you’re the sole or primary breadwinner in your household, your family may depend on your disability benefits for basic necessities, such as secure housing, clothing, and sustenance. Though your family may be eligible for certain public safety net programs, these may not be sufficient to cover its living expenses. Moreover, key programs, such as housing assistance, may have years-long waiting lists. 6. Do You Have a Preexisting Condition? Notwithstanding the potentially rigorous medical underwriting process, workers with preexisting medical conditions that increase their risk of temporary or permanent disability may be more inclined to apply for LTD coverage than their healthy peers. Job-seekers with preexisting conditions may want to pursue employers that offer no-exam group disability insurance, if common in their fields. 7. What Is Your Premium Budget? Out-of-pocket disability insurance premiums vary widely, from virtually nothing to hundreds of dollars per month. Your policy’s premium is a function of its benefit amount, term, and key features, such as the elimination period and whether it offers any or own occupation coverage. As a rough rule of thumb, try to keep your total premium under 2% of your gross income from employment — for instance, $1,000 annually on a $50,000 salary before taxes. Disability insurance isn’t the only possible source of direct financial assistance for workers unable to perform their job duties due to partial or total disability. It isn’t even the only possible source of replacement income for disabled workers. Those with sufficiently long service records may qualify for Social Security disability (SSDI) administered by the federal Social Security Administration. The Social Security Administration’s SSDI website has more details about qualifying conditions, service requirements, eligibility, and waiting periods for SSDI applicants. Do you have a disability insurance policy? Why or why not?